NEXT | What's your in-game "White Whale"? Greetings. I’ll be taking over this column from Scott Andrews, whom I want to thank for the years of insight and advice. I’ve been leading a guild since late 2007 and I devoured his column every time it popped up. I learned so much from the questions and answers. I also have his book, The Guild Leader’s Handbook, and some of the advice is still as sage as it was when the book came out in 2010. Good advice never goes out of style. How do you, as a guild leader, deal with someone in the guild who wants to tell you how to run your guild during raids? 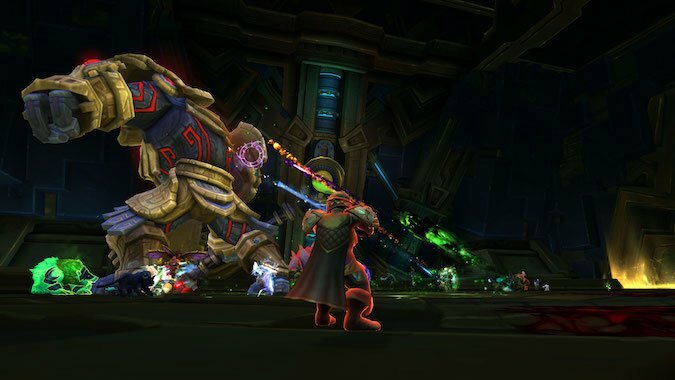 The author of the tweet was not the guild leader — merely the raid leader — but was frustrated by a new player’s insistence upon telling the guild leader who should and should not raid and how bosses within Uldir needed to be done. How would I handle this? Is there clear communication between guild members and the guild leader/raiding leadership? Are you filling all your raid slots? 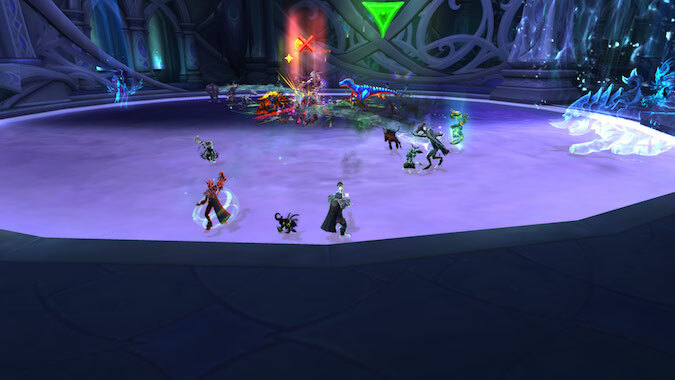 The only limitation to Uldir raiding is the 20-person Mythic version. Side note: If you’re filling all your slots, I’m very impressed. That’s a lot of people and whatever you’re doing to get that many people to log on, I hope you continue. Do you have clear markers for those who don’t go to work towards? Do you have a clear method whereby someone who sat out on week 1 can, if the raiding criteria you set is met, get a chance to go in a subsequent week? Communication between the officers and the rest of the guild is paramount here. If you don’t have a method which explains who goes and provides a means for others to get onto the raid team, you will create hard feelings. Are your raiding rules clear? How do you handle the inevitable “stuck” points with bosses? If you run logs, do people know where to get this information to see their performance? Does your guild leadership present a unified face when explaining what needs to be done? For large guilds, do you have class leaders who can be called upon to help someone? If you don’t have class leaders, is there an officer who can explain what people need to do to help the guild get through rough spots? If you have these things in place already, someone who is “offering” their “expertise” finds the wind taken out of their sails because you’re already on top of issues. A calm and steady, “Thank you, Xerxes. We’re on top of issues,” repeated firmly, should make your point. 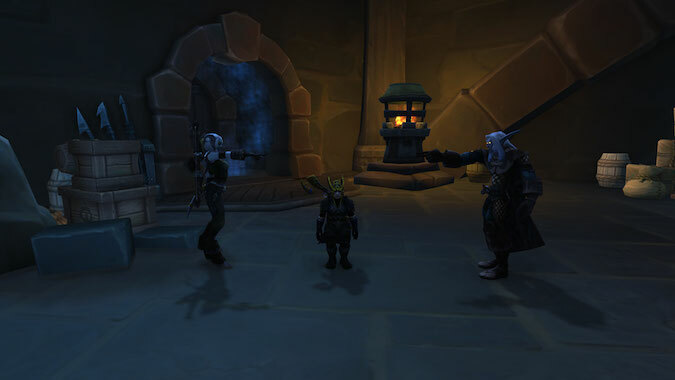 In my guild, we do not mind observations and suggestions when we’re learning content, but our raiding rules give a specific method to sharing those observations. We also make it clear that if you don’t follow the rules, you will be muted. We have never had to get to that point. One of the raid leaders firmly stressing that we follow our rules usually ends unhelpful suggestions. Another officer stepping in to say, “Please follow the rules for making comments. If you wish to stay after the raid and chat, we will address your concerns then” can be immensely helpful in diffusing a situation. You’re all a united front (right? ), so you should have each other’s backs. But what if that’s not enough to stop the comments? If, however, you’re finding a new, or even an old, member is continually interrupting with suggestions and commentary, someone, starting with the raid leader, has to take them aside and talk to them. This is an uncomfortable conversation, but it’s necessary. You can’t have someone constantly questioning leadership. Keep the guild leader, if they aren’t in raid leadership, apprised of the conversation. If the behavior continues, the guild leader needs to have an additional conversation. It may be you have to ask the person to leave. Never be afraid of that. If they aren’t happy with how you’re running raids, that divisiveness will stress the entire raid group and they will lose focus. For new guild members, it helps, tremendously, to make sure they know and understand how raiding within your guild works. If their expectations are different from the guild’s, that can lead to unhelpful commentary. This comes down to clear communication. If you have more raiders than slots, is there a method for people to get onto the raiding team, if you only have one? If there are complaints, do people know who to talk to? And, if you have to talk to someone, can you do it calmly, but firmly? These are my thoughts on this issue. Communicate, communicate, and communicate some more.